I am inspired from w3schools try it yourself editor. It is better to give an option to users to try themselves. 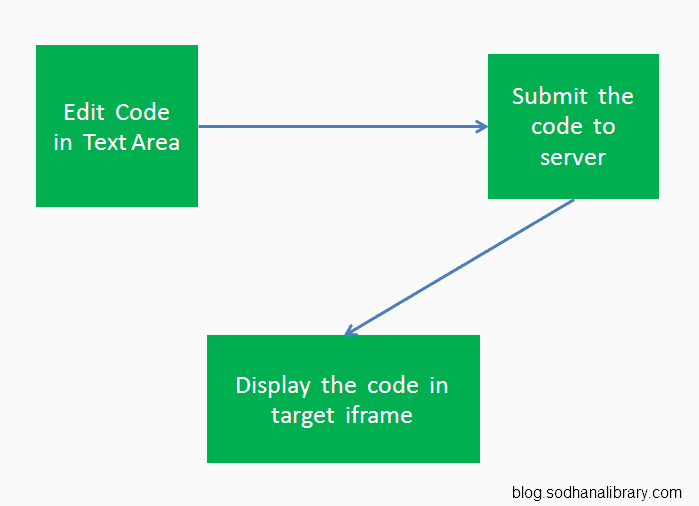 Here the "target" attribute was specified as "view" so the output of this form will be displayed in "view" named iframe. Here we have to set "X-XSS-Protection" and "Content-Security-Policy" as 0 unless it will throw security exceptions and script wont run. thanks for sharing an wonderful post.